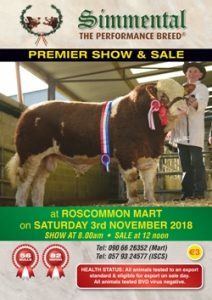 The Premier Simmental Sale at Roscommon was described as being very tough with demand for bulls back on the corresponding sale last year. This resulted in a reduction in clearance rates and overall averages. 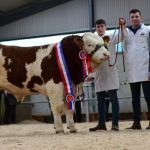 Topping the day’s trading at €12,500 was the Junior Bull Champion, Clonagh Just A Dream, exhibited by Garrett Behan, Ballyfin, Portlaoise. Sired by Kilbride Farm Dragoon and out of a Kilbride Farm Newry dam Cloneygowan Temptress Posh this February 2017 was purchased by Padge Mulhare, Cloghan, Co. Offaly to join his Hillcrest Herd. 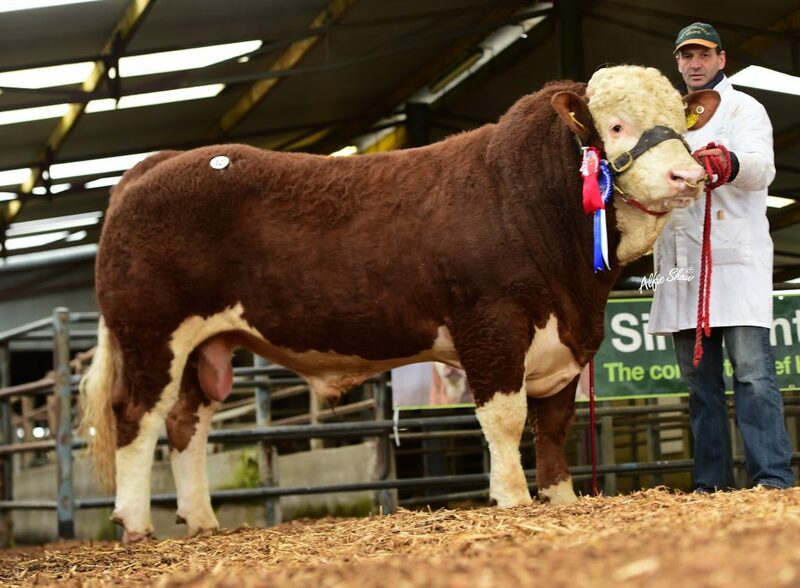 The Senior Champion Bull, Clonagh Hot Shot, was also exhibited by Garrett Behan. This October 2016 born bull is also out of Kilbride Farm Dragoon and out of a Dovefields Gallant Dam Cloneygowan Shania Babe. Patrick Plunkett from Kilcogy, Co. Cavan was the buyer at €4,000. 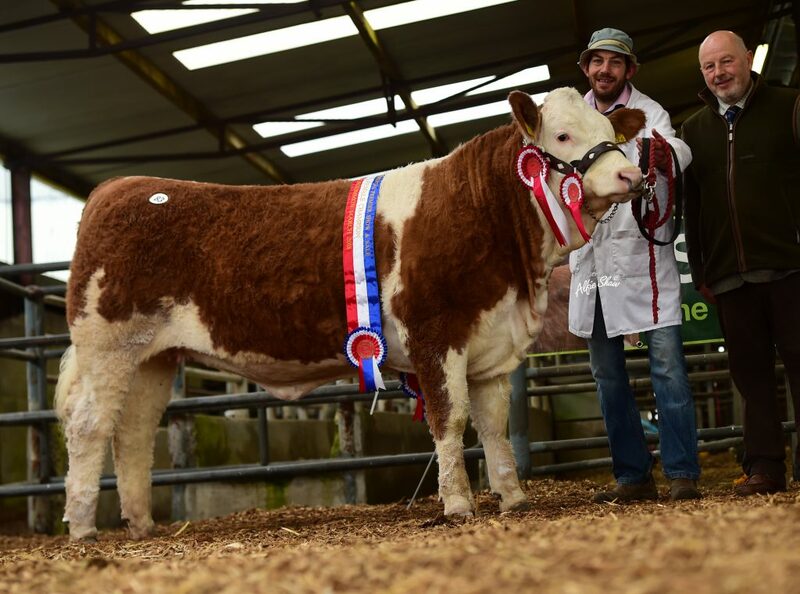 William O`Riordan, Kilbrien, Rathcormac, Co. Cork exhibited the Reserve Senior Champion, Bridgemount Harvey. This Lisnacran Sunnyboy sired bull was out of a Ballyduff Jeweller dam Bridgemount Vicky. 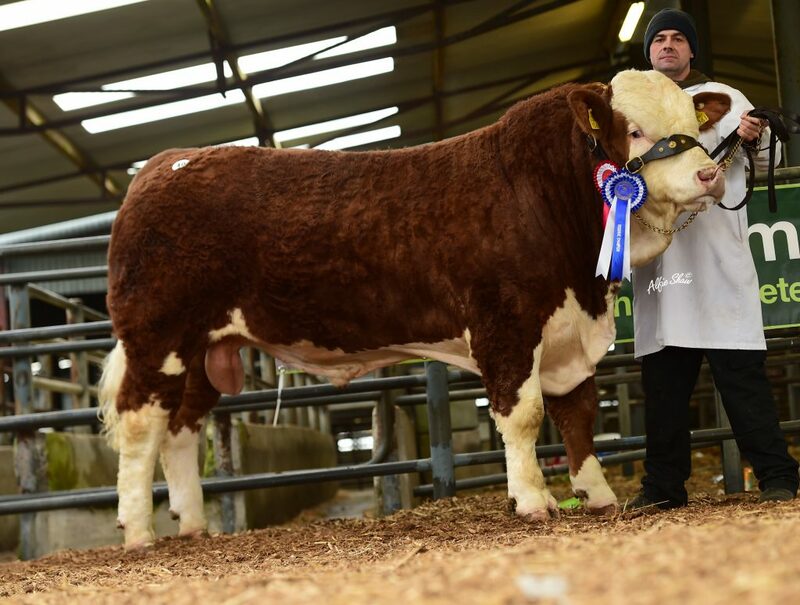 The purchaser of this bull was Michael Killackey, Glinsk, Co. Galway. 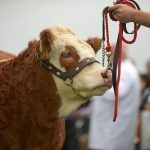 The Reserve Junior Champion, Firmount Jacob, sired by Curaheen Fox was exhibited by Paul Sammon, Carrigahorig, Nenagh, Co. Tipperary. This January 2017 born bull is out of a Drumlone Anchor dam Clonguish Daphine and sold for €2000 to Dermot Connolly, Augrim, Co. Galway. Selling at €3,600 for the Wall Family, Newcastle, Co. Dublin was Auroch James. This Carnkern Titan sired bull was born in January 2017 and was out of a Hillcrest Champion dam Curaneen Whisper. 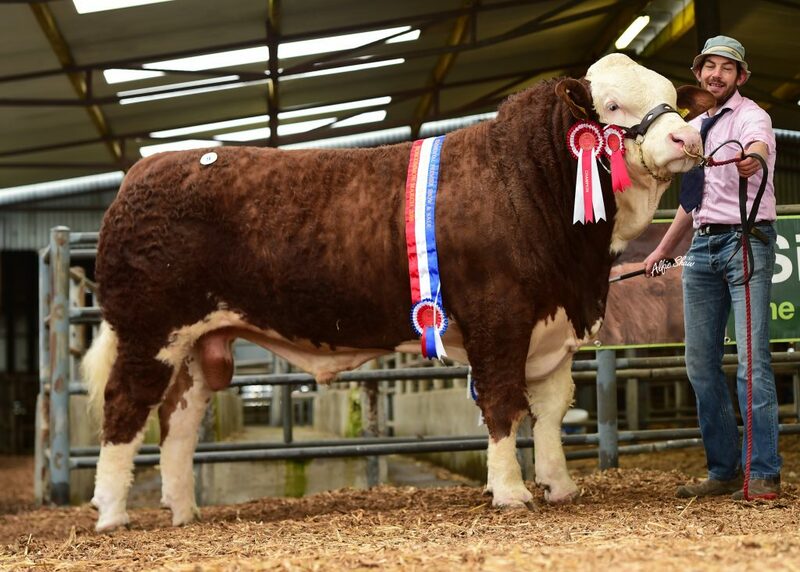 This bull was purchased by Dovea Genetics, Thurles. Also hitting the €3,600 mark was Jennalyn Jackpot for Lyndsey Behan, Ballyfin, Portlaoise. This January 2017 born Kilbride Farm Dragoon bull is out of a Dirnanean Jacob dam Jennalyn Tina and was purchased by Edward Murphy, Athy, Co. Kildare. 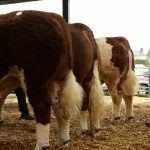 Overall in the male section there was an average price of €3,330 with a clearance rate of less than 50%. In the Heifer Section the successful day for Garrett Behan continued when the Judge, Anthony Davies, from Wales tapped forward Clonagh Jazzy Eyes as the Female Champion. 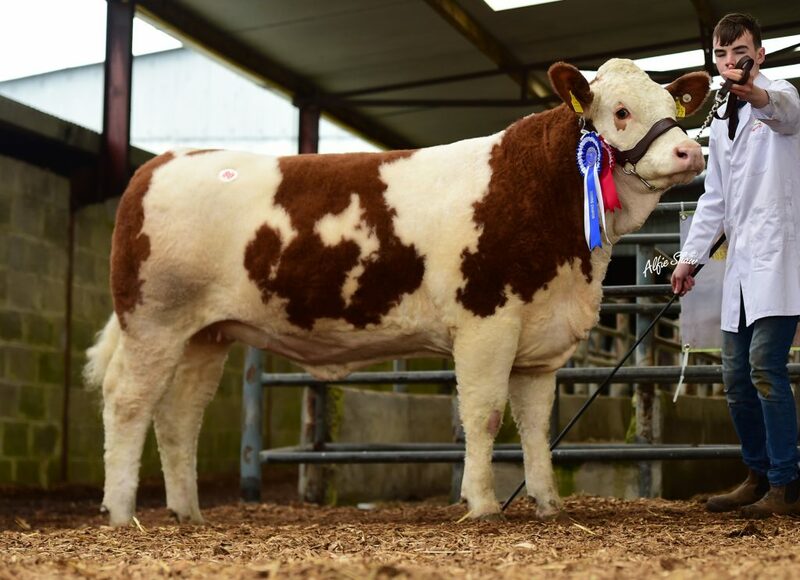 After brisk bidding this January 2017 heifer was knocked down to Kevin Boylan, Kilnaleck, Co. Cavan at €6,100. Clonagh Jazzy Eyes is sired by Kilbride Farm Dragoon and out of a Banwy T-Rex dam Clonagh Darling Eyes. 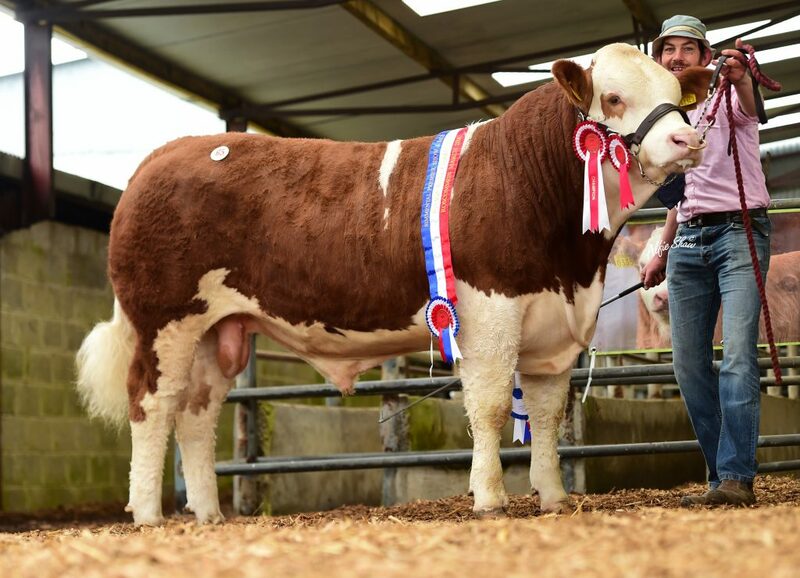 The Reserve Champion, Mount Horizon, was exhibited by Joe Kelly, Ennis, Co. Clare. Born in December 2016 this Artnagullion Flint sired heifer was out of a Curaheen Tyson dam Curaheen Brooklyn. 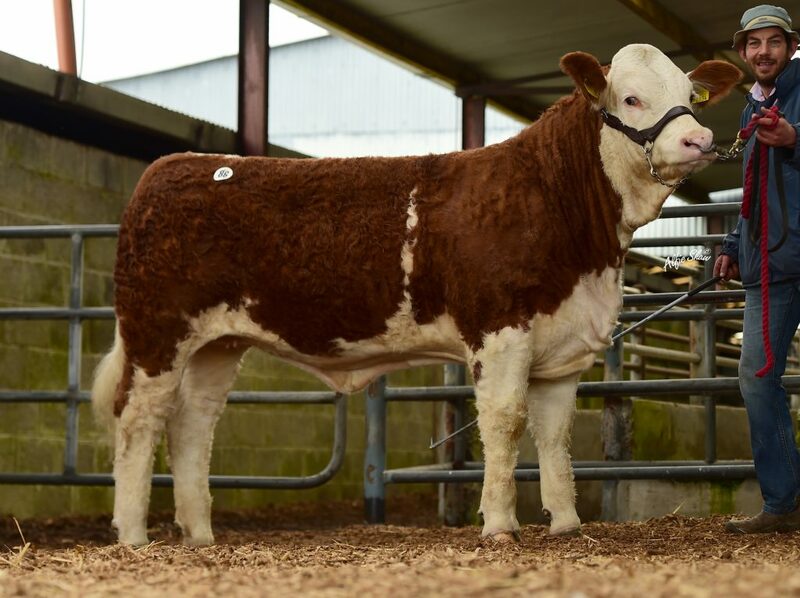 This heifer was purchased by John Lardner, Tuam, Co. Galway at €3,800. 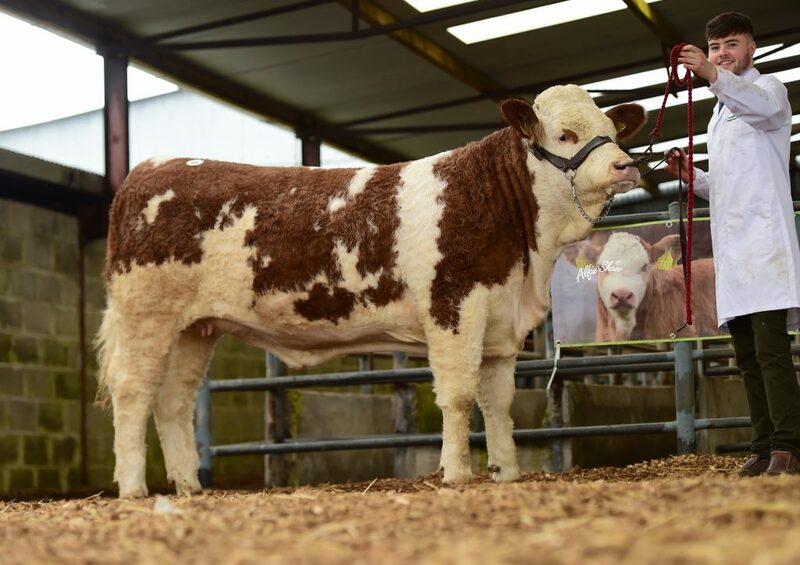 Lyndsey Behan sold Lot 86, Jennalyn Janet Hilary Rose for €5,200 to Clive Houdley, Lockerbie, Scotland. Sired by Kilbride Farm Dragoon this January 2017 born heifer was out of a Banwy T-Rex dam Jennalyn Ebony Beauty. 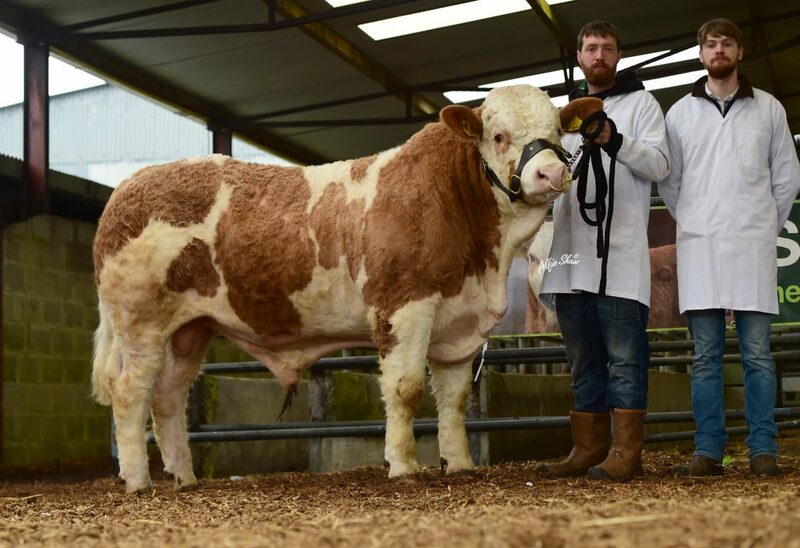 Selling at €3,700 was Mainview Jezabel exhibited by Kevin Traynor, Scotstown, Co. Monaghan. This Milnafua Graduate sired heifer was out of a Cairnview Snazzy dam Broomfield Elice and was purchased by Welsh Breeder, Aled Davies. Overall the heifers averaged €2930 which was up €500 on last year’s average with a 63% clearance.